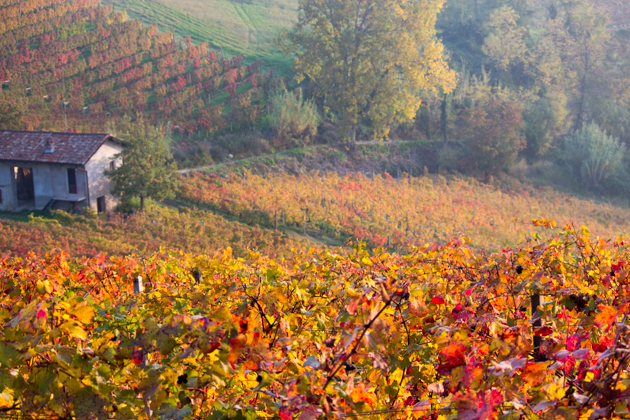 If you had to distill the essence of autumn into one word, it would be the Langhe (an area southeast of Torino in Piemonte). 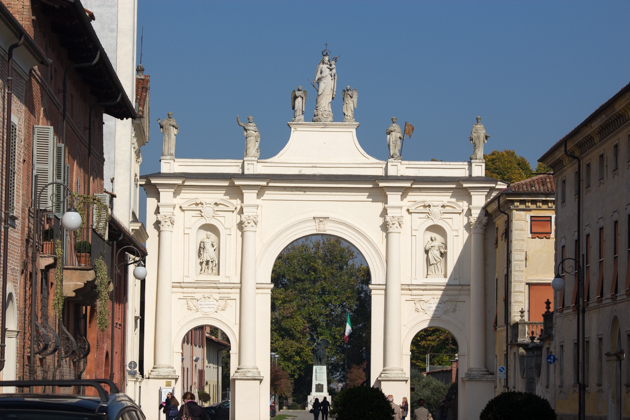 For anyone fortunate enough to be attending Salone del Gusto next week, this area is well within your reach and should not be missed. I’ll be there so let me know if anyone wants to meet up. 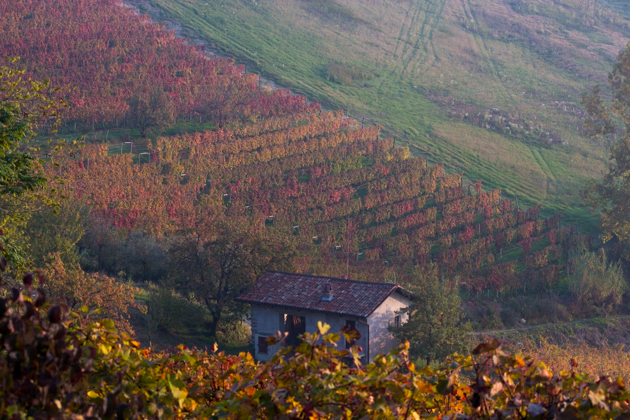 Autumn in the Langhe is not only a time of leaf-peeping but also the season for the famous intensely-flavoured Carmagnola pepper, hazelnuts, the intoxicating and rare white truffle and the wine harvest. 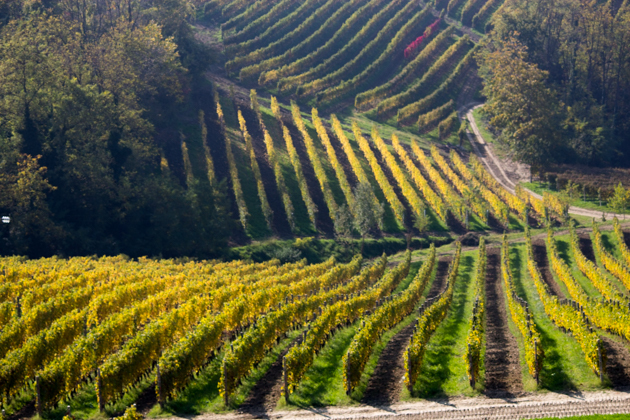 Great wine is almost always grown in areas of exceptional beauty and this is definitely true in the Langhe. 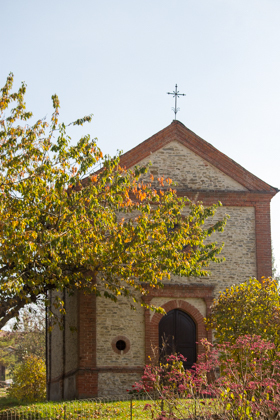 The red and gold leaves on the hazelnut trees, the heavy bunches of black grapes sagging on the withering vines, golden persimmon trees shimmering in the sunlight and hilltop towns with their church bell towers create a stunning scenery. On clear days, the tips of the Alps emerge above the mist, the grand finale on an already extraordinary landscape. 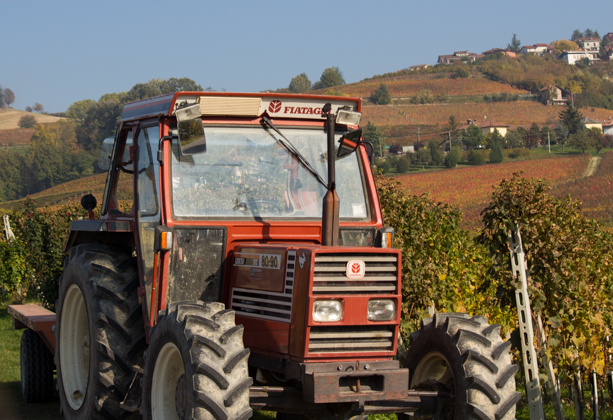 Some of my favourite Piedmontese meals I have enjoyed have been in the Langhe, all washed down with world-famous local wines like Barolo and Barbaresco. 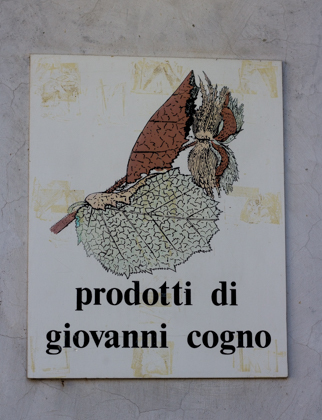 See my post here on my favourite Piedmontese dishes. 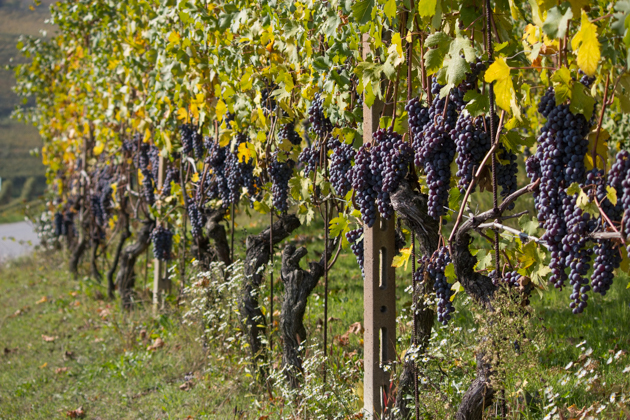 Visiting picturesque villages and renowned wineries is another highlight. 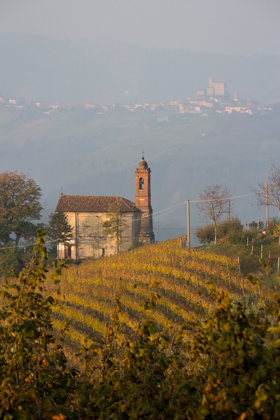 Towns worth a visit include La Morra, Barolo, Neive (on what is known as the Romantic Road – Strada Romantica delle Langhe e il Roero, a tour of designated panoramic points in the region), Monforte d’Alba (where the partisan priest Dallorto turned himself in to save the town from being burned), Diano del’Alba (a hilltop town with beautiful church tower which is known for its Dolcetto wine and stunning views towards La Morra), Dogliani (a medieval town), Serralunga d’Alba (which has a beautiful castle), Grinzane Cavour (a picturesque castle town next to La Morra) and Alba (famous for its annual truffle fair which attracts the international rich and famous). 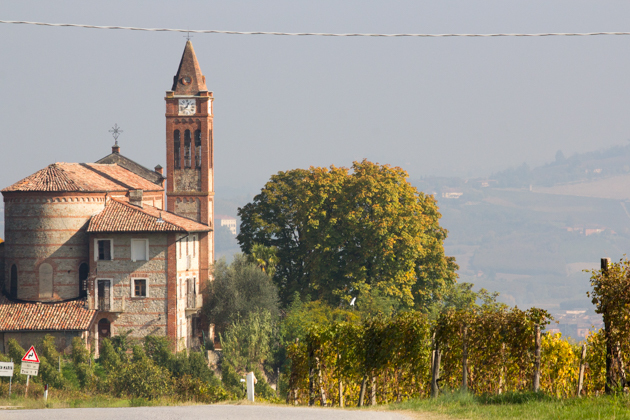 Much like St. Emilion in Bordeaux is famed for its macaroons and red wine, La Morra is the heart of Barolo country (one of the great Italian wines in the world) with a spectacular but low profile bakery run by Giovanni Cogno. 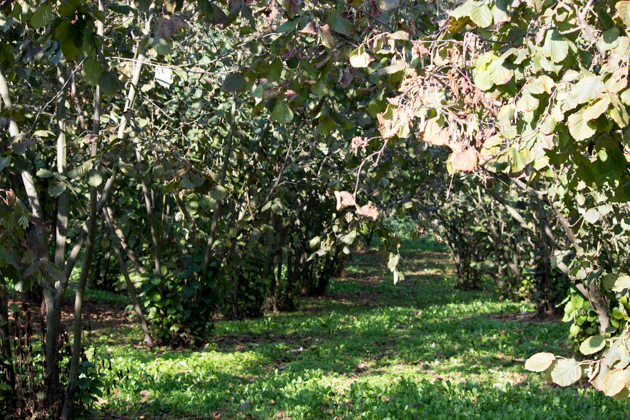 Many of his creations feature the local hazelnut and are entirely made by hand. 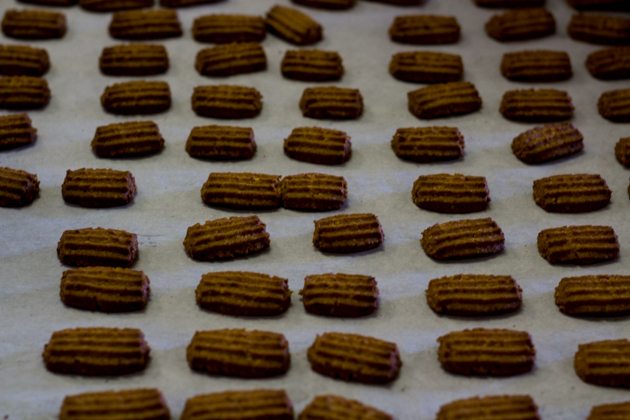 The pinnacle of his offerings is the ethereal hazelnut biscuit (biscotto di nocciola) which delivers a proper crunch before dissolving into a whisper of nuttiness; leaving you with the desire for more. 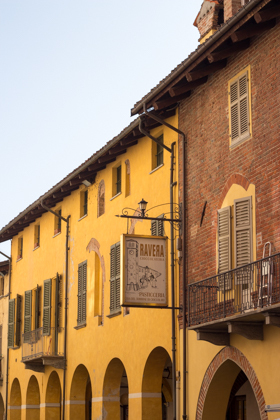 If you go to La Morra, try to get a reservation at Ristorante Bovio (run by the previous owners of La Belvedere which we much loved). 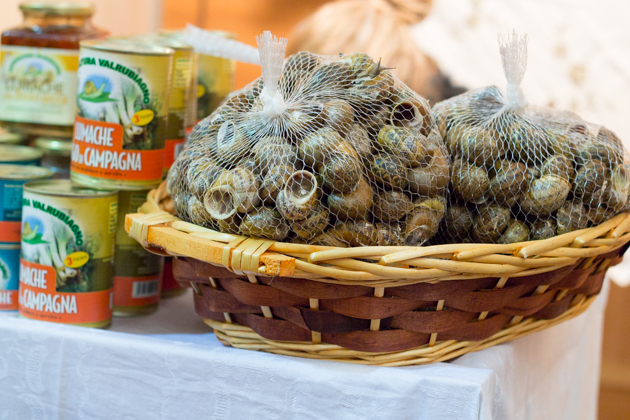 Cherasco is a sweet little town (famous not only for its snail production but because it was where Napoleon signed the truce with the House of Savoy in 1796) we stopped in for lunch at La Lumaca while visiting nearby wineries. 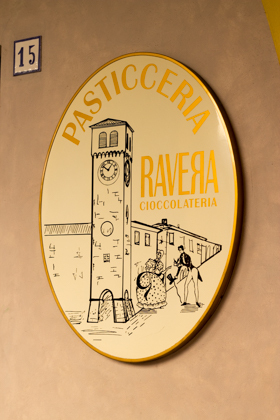 We are glad we did as not only was the lunch well worth the effort, we found an excellent chocolate shop, Ravera. 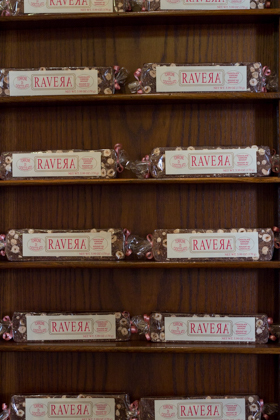 Ravera is famous for their dark chocolate and local hazelnut clusters (Baci Ravera di Cherasco) and their chocolate and hazelnut cake (Anello dell’imperatore) made using the same recipe the nuns used to make the cake for Napoleon when he visited the town. Cherasco also hosts an important antiques market. 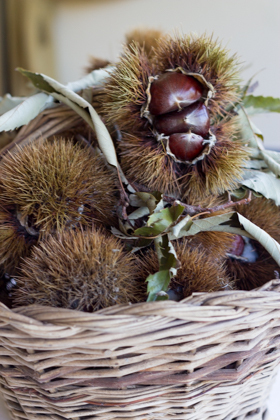 Alba is a must if you are visiting when the truffle market is on. 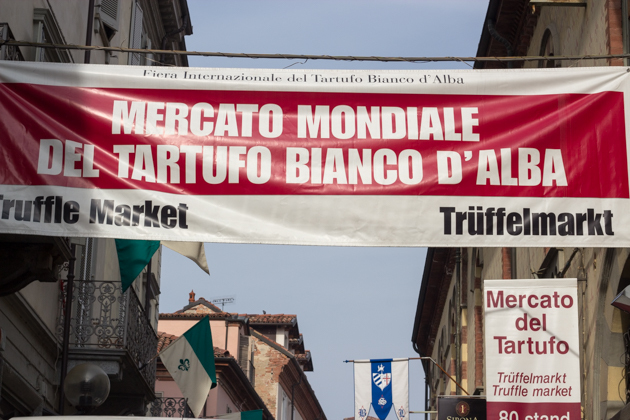 For an overview of the truffle market and Alba, click here. 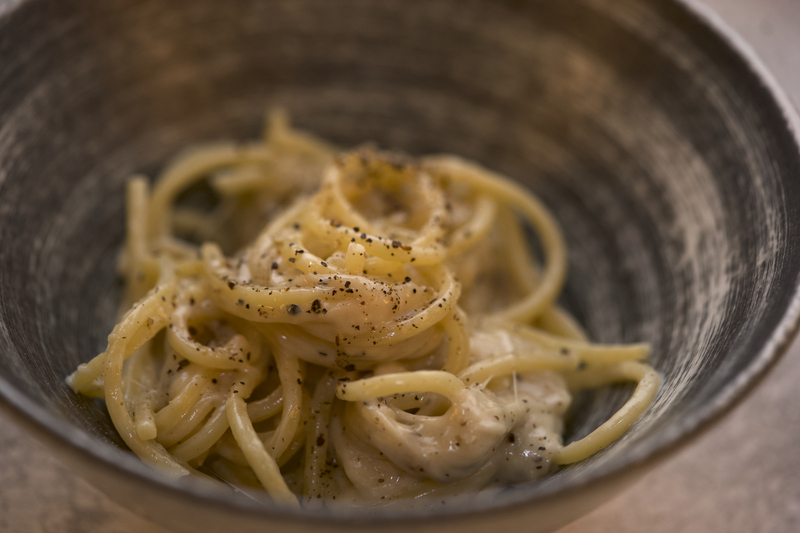 Certainly not to be missed is La Piola, the more casual brainchild of Enrico Crippa (the chef at the Michelin three star Piazza Duomo, also in Alba). 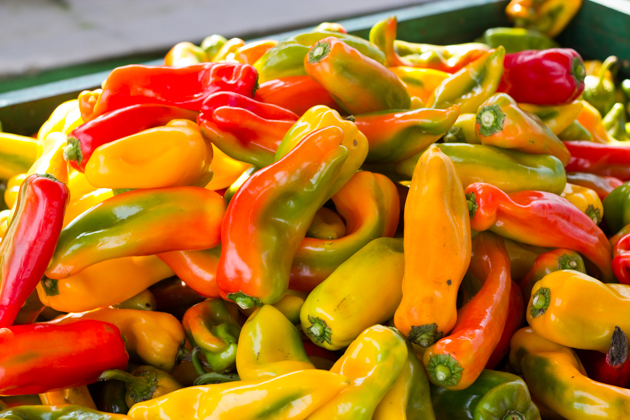 Here you will taste some of the best examples of traditional local dishes. 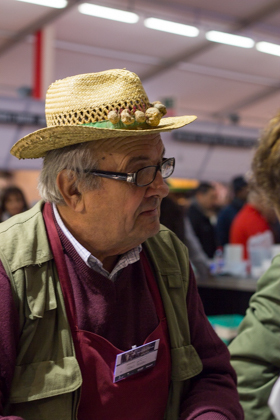 My favourite vendor with truffles tied to his hat! Albaretto della torre will always have a special place in my heart. 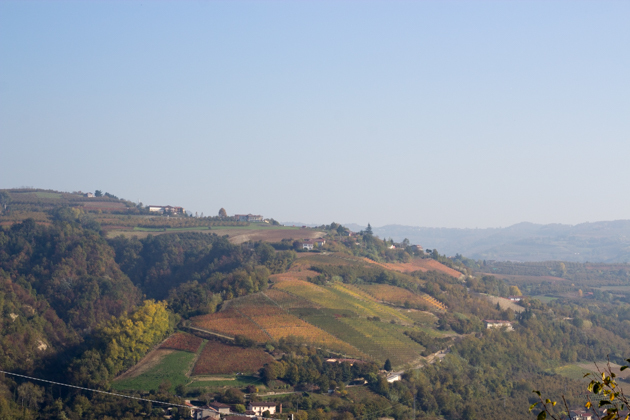 Nine years ago I took my boyfriend on a trip around the Langhe for his birthday so he could drink Barolo and eat truffles to his heart’s content. 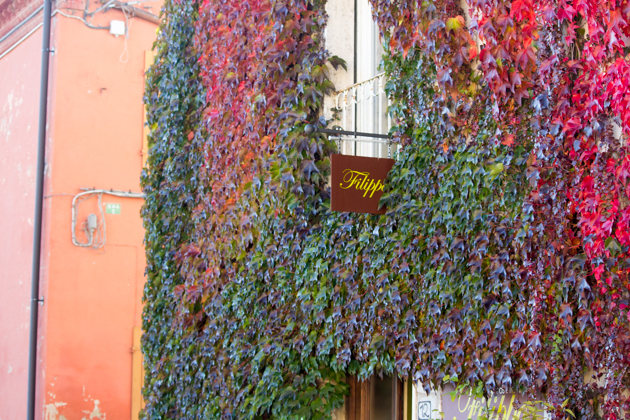 We had heard of this tiny family run restaurant run by a phenomenal chef, Cesare Giaccone, who refused Michelin stars (and diners). 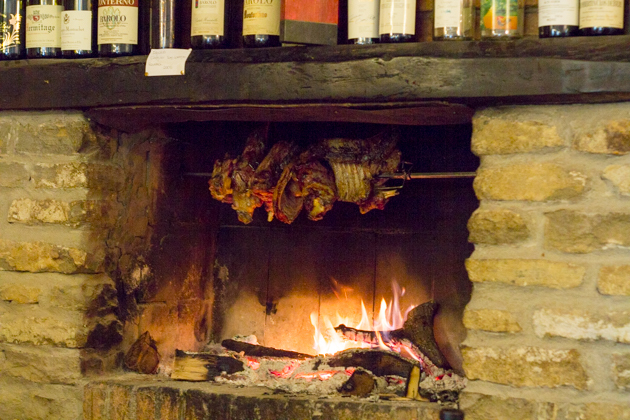 Slightly tremulously we opened the door of the restaurant to find a roaring fireplace with meat roasting on a spit above it and the infamous chef in the kitchen. The food just started arriving as soon as we sat down and despite becoming fuller by the mouthful, we were incredulously delighted with the appearance of each new dish. The dessert was the best part as my now husband proposed marriage. We went back last year and brought our three children. The restaurant has moved down the street and has become more formal, making room for Cesare’s son, Filippo, to open a more casual restaurant in the original space, their family home. 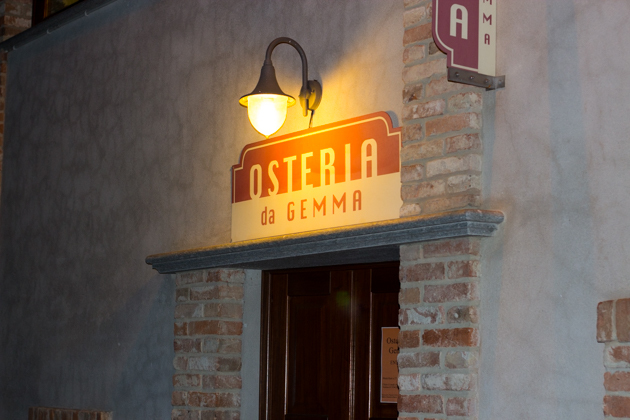 Other food highlights in the region is the simple yet classic Osteria da Gemma in Roddino serving up traditional dishes, the pastry shop Bisco in Castiglione d’Asti, famous for its hazelnut cake (torta di nocciole) and a restaurant high on my to try list: Da Felicin in Monforte d’Alba. 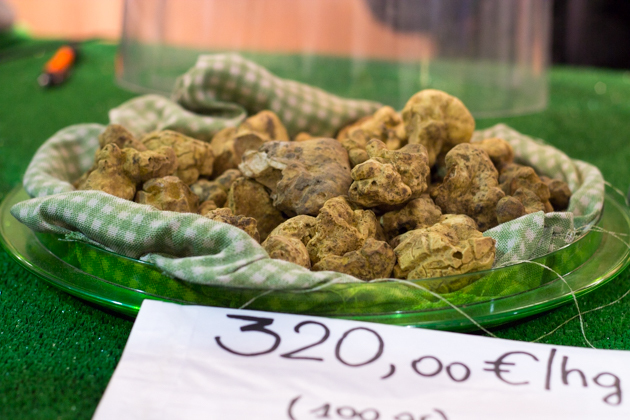 The premier white truffle fair in the world where locals sell white and black truffles as well as truffle infused cheeses, pasta and salumi. 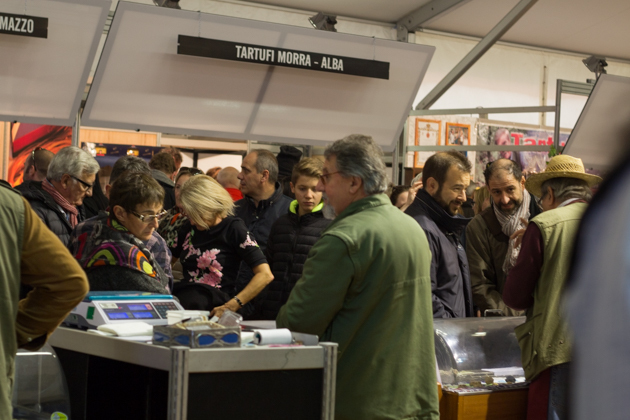 Another highlight is top pastry shops, cheesemongers, chocolatiers and salumi makers selling their goods. 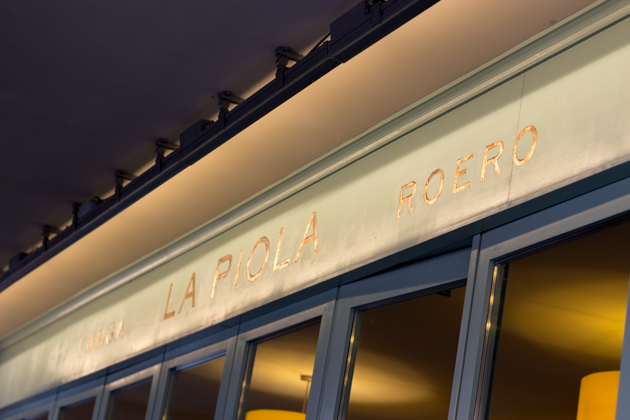 La Piola was founded by Ceretto (the winemakers) and Enrico Crippa (chef of Piazza Duomo). We found it a refreshing concept, much like an upmarket French brasserie. 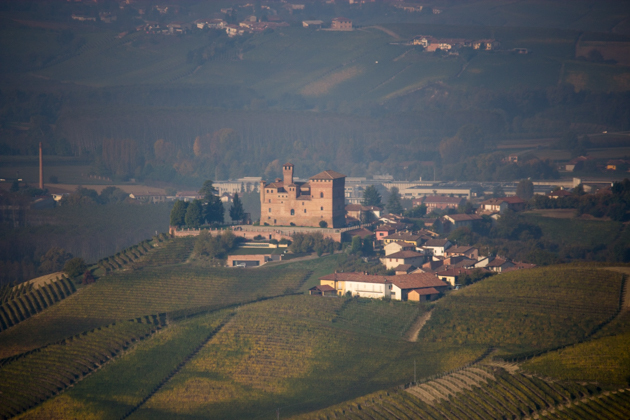 It features the best ingredients and recipes from the Langhe. Most of what we tried here was some of the best versions we had ever had. My recommendation is to try anything. 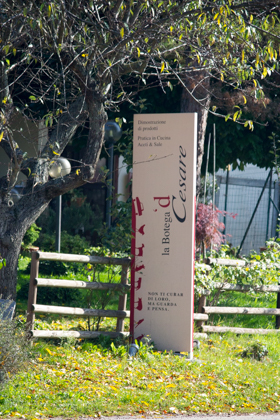 The restaurant serves a set menu based on local seasonal ingredients. 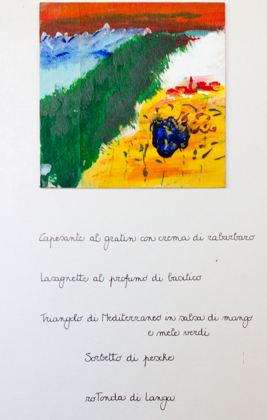 Cesare hand paints the menus using herbs and cooks all the food. 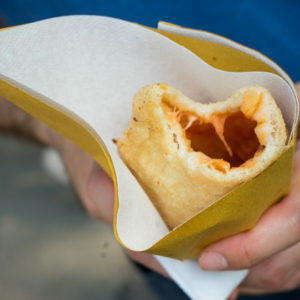 This is deservingly considered to be one of the best restaurants in Italy. To eat at da Cesare requires some strategic planning. I would book for lunch to ensure you are well rested and have ample time to enjoy (and digest). A good game plan would be to eat a very light breakfast and not plan anything else for the rest of the day except a good nap. Spend several hours and pace yourself through the meal. 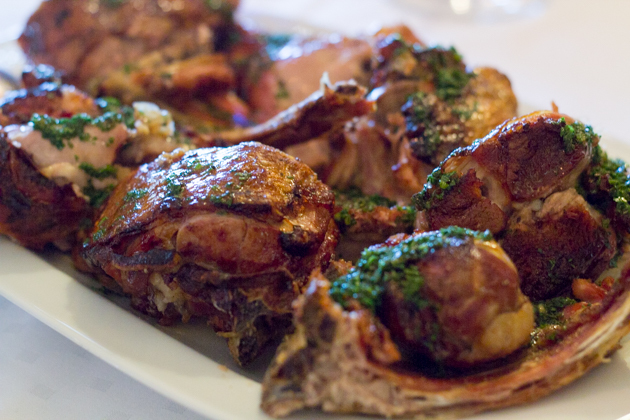 While there are many deliciously tempting dishes to savour beforehand, the main event is the capretto (spit roasted kid goat). Don’t plan anything extravagant for dinner, not only will your appetite not have returned but everything will pale in comparison to lunch. 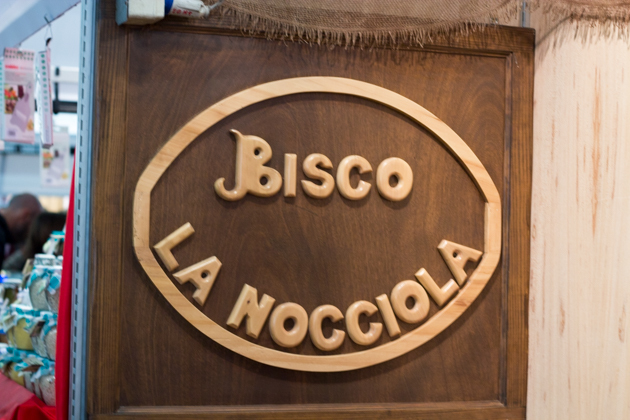 Run by Filippo, Cesare Giaccone’s son, and keeps the Giaccone tradition of simple local dishes served in their family home. 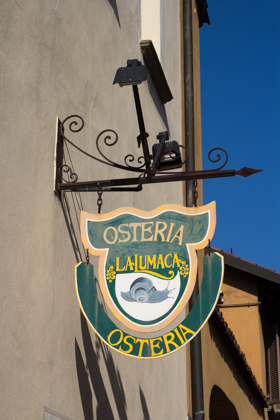 This restaurant is outside the Langhe but if you are heading towards Liguria and looking for somewhere to stop, this restaurant is definitely worth the stop. Booking is essential. The wine list is excellent. 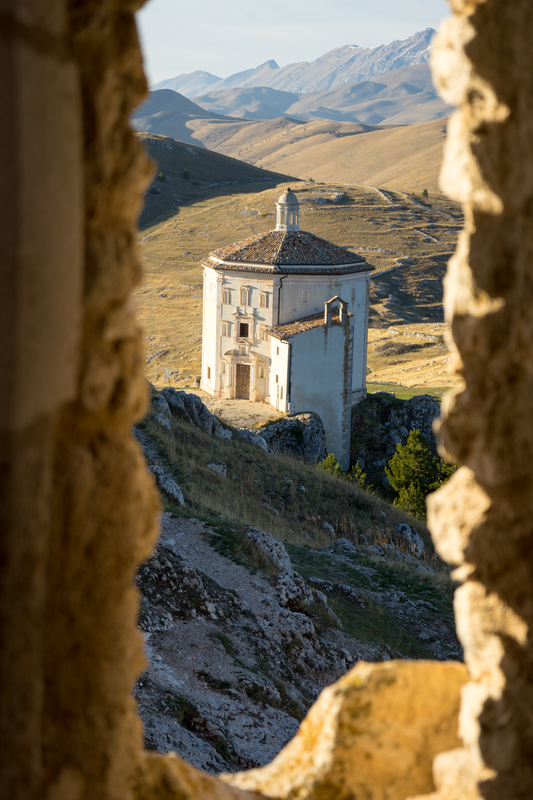 Recommended dishes: agnolotti al plin (stuffed pasta), gnocchi al castelmagno (potato dumplings in castelmagno cheese sauce), rooster and chestnut salad, vitello con funghi (veal with mushrooms) and duck breast with orzo pasta. 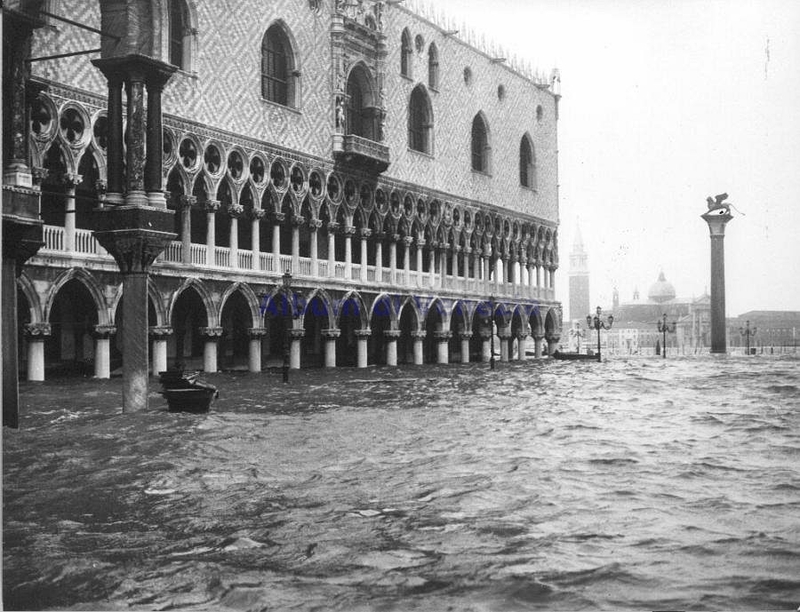 An excellent chocolate shop famous for their historic recipe for Anello dell’Imperatore (a chocolate, hazelnut and almond cake) which the local nuns created for Napoleon’s visit. 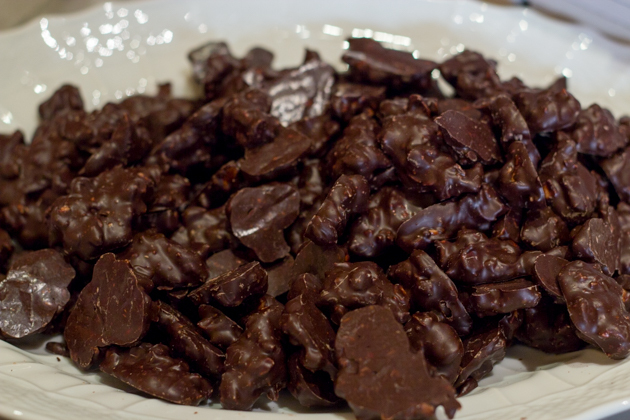 Don’t miss the Baci Ravera di Cherasco made with dark chocolate and local hazelnuts, chocolate torrone, dark chocolate “salame” and their hot chocolate. I bought loads of confections as gifts for friends in Hong Kong. The wine list is excellent for many reasons starting with the cost is shop price plus EUR5. The other reason is that they have a coravin which means they sell wines rarely seen sold by the glass. Here you can have extraordinary wines with your meal without the hefty price tag and can have different wines with each course without having to purchase the bottles. Recommended dishes: pumpkin and sausage risotto, plin al verdure (pasta stuffed with vegetables), lamb chops with fennel seed and beef braised in Barolo wine. 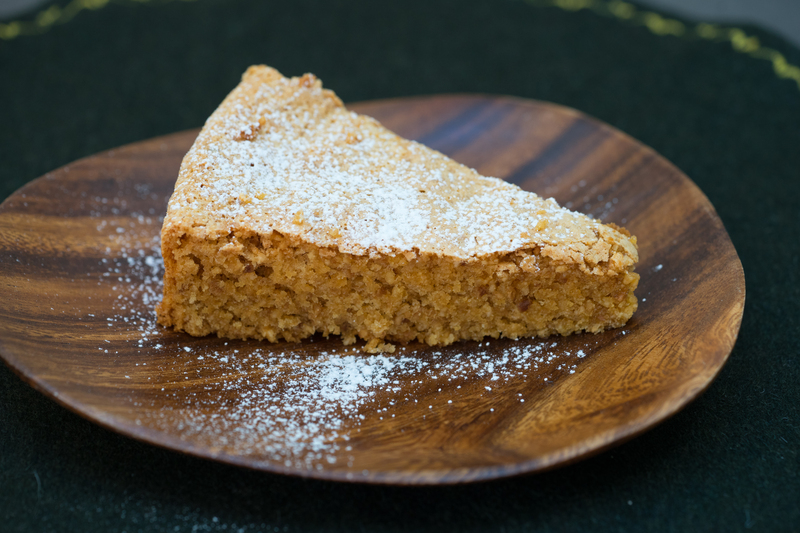 Recommended: hazelnut cake (torta di nocciole), soft amaretti (amaretti morbidi) with custard, Barolo or Marsala wine, soft torrone with hazelnuts, honey and orange, panettone and colombo. 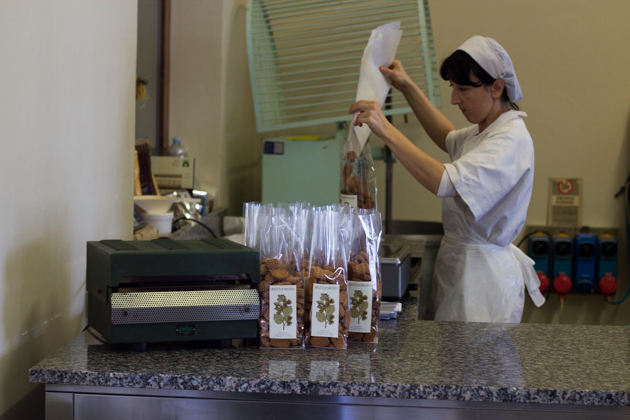 A traditional local pastry shop which works entirely by hand using the best local ingredients. 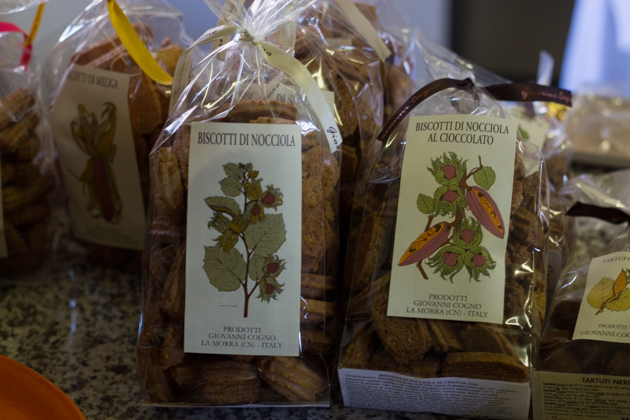 Their biscuits (di meliga (corn), nocciola (hazelnut) and al cioccolato (chocolate) and their cakes (nocciole (hazelnut) and nocciole al cioccolato (hazelnut and chocolate)) are considered some of the region’s finest. 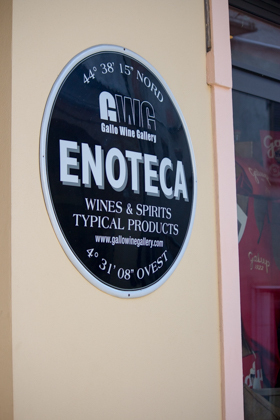 They sell all the best local wines. The previous owners of Belvedere moved down the hill and opened Bovio. 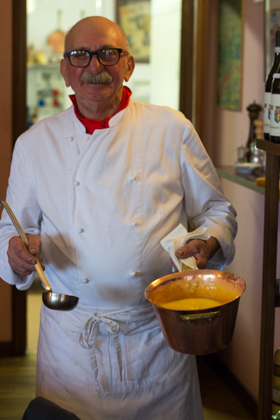 Sadly the main protagonist behind the restaurant, Gian Bovio, recently died but the great reviews keep coming. Closed on Mondays and Tuesdays. 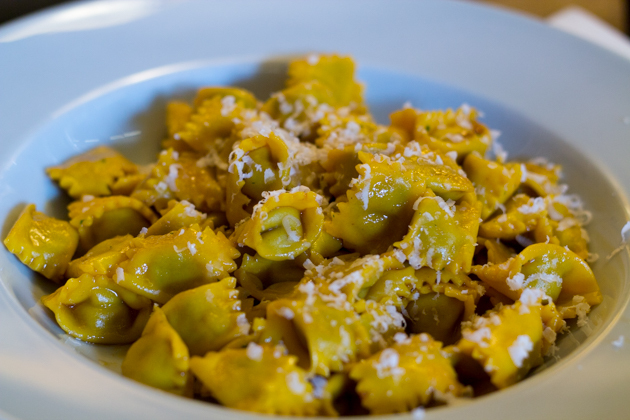 Superlative cooking of traditional Piedmontese dishes. There is no need to order, food starts being served and finishes when you say you have had enough. Typical dishes served: salumi, carne cruda (chopped veal or beef), vitello tonnato (veal slices topped with tuna dressing), insalata russa (salad of mixed diced vegetables with mayonnaise), tajarin con ragù (fresh egg pasta with meat sauce), ravioli con ragù (filled pasta with meat sauce), roasted rabbit, wild boar and bonet (chocolate amaretti pudding).